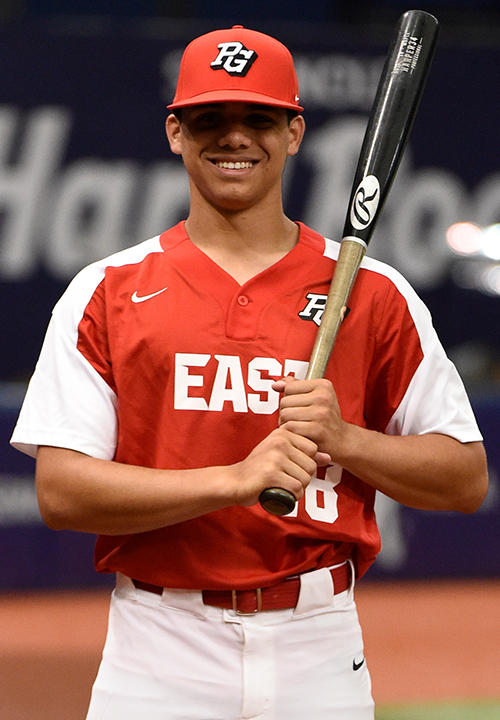 Erik Rivera is a 2019 OF/LHP with a 6-2 195 lb. frame from Caguas, PR who attends Puerto Rico Baseball Academy. Large broad shouldered athletic build, has present strength with room for plenty more. 6.93 runner, fields smoothly out front in the outfield with athletic actions through the ball, has elite level arm strength from a fast and compact release, accurate on-line throws, fun to watch throw the ball. Left handed hitter, hits from a wide base with a short leg lift load, swings with intent and some violence with lots of bat speed, pull side approach with plenty of projectable power, loud hitting tools once the repetitions are there. Also pitched, gets coiled over the rubber, energy towards the plate, 3/4's arm slot. Fastball topped at 90 mph, mostly straight. Has tight spin on a slurve type breaking ball with good angle to it, developing change up. 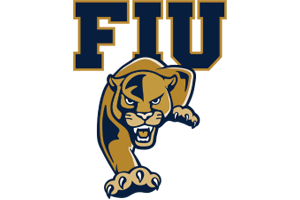 Good student, verbal commitment to Florida International. Selected to play in the 2018 Perfect Game All-American Classic.